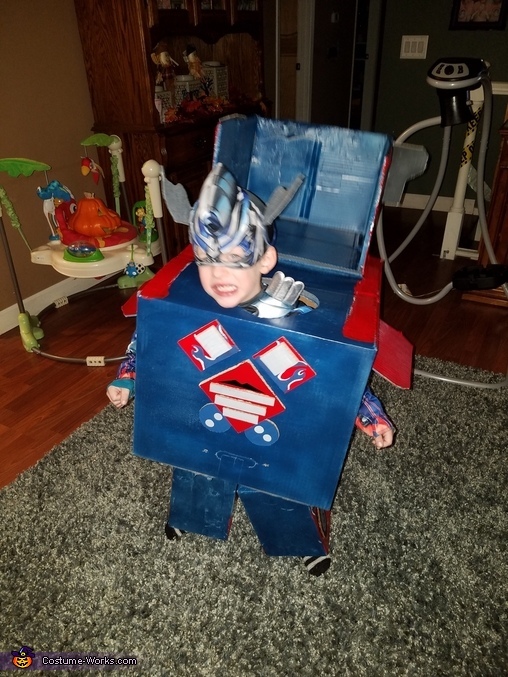 Optimus prime, my son thought that it would be fun to have mommy and daddy make him into optimus prime for Halloween!! We couldn't say no so I started a project that was quite the chore ;) but we got it done just for Wyatt to wear it. I don't have many how to directions, because I just really winged it and used lots of cardboard and gorilla glue.